The below mountain bike tracks follow dusty fire trails and rough 4wd tracks. The views are great and because of this they require some climbing. These start at Coles Bay, a sleepy seaside village that is outside the national park. 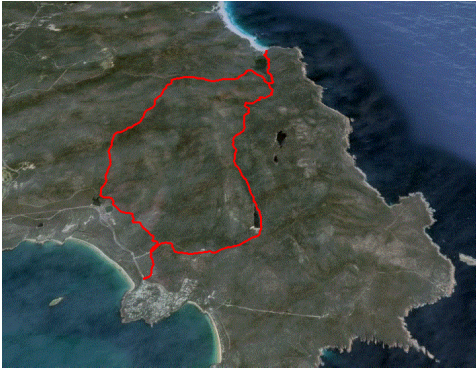 Info on Coles Bay, businesses, activities and accommodation at this link. This trail starts and stops where the 4wd motor bike adventures tours meet and is opposite the Freycinet Kayak Adventures house. I prefer to ride it in an anticlockwise direction but others prefer clockwise. Either way, they both end in a long descent.